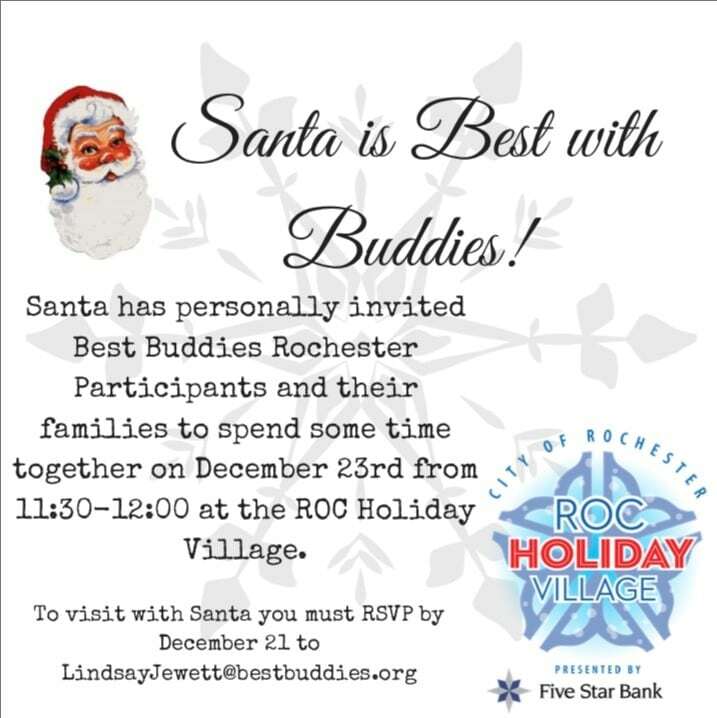 You Must RSVP to LindsayJewett@bestbuddies.org before December 21 to attend. 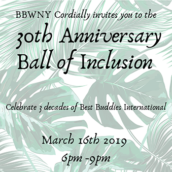 March 16, 2019 Arbor at the Port Rochester, NY Come and celebrate 30 years of best buddies international with dancing, games and so much more! First Tuesday of Every Month Al Sigl Center Rochester, NY Best Buddies New York is looking for individuals to be involved with our WYN Programs Committee! Join us at 7pm the first Tuesday of every month starting October 2, 2018 to talk about all things Best Buddies. October 23, 2017 Microsoft Fifth Avenue Flagship New York, NY Come to our information session to learn more about the Best Buddies mission and goals in New York. Meet our staff and see how you can get involved.